Bio promotes Green Cleaning as an approach to janitorial services that offers better environmental performance and improved worker health and safety, while retaining the same sanitation quality as traditional, more chemical-intensive methods. When correctly employed, no clean power is sacrificed through green cleaning practices.” The Green Cleaning Pollution Preventer Calculator. Bio Janitorial Service is commitment to providing our customer with not only Certified Green Cleaning Products (Green Seal GS-37) but services as well. Therefore we conform to Green Seal GS-42 Environmental Standards for Cleaning Services. Green Seal Environmental Standard for Cleaning Services (GS-42) is the cleaning standard which establishes requirements for cleaning service providers, including in-house and external cleaning services, to create a green cleaning program that protects human health and the environment. For the purposes of this Standard, green cleaning encompasses all indoor activities typically required to clean commercial, public, and industrial buildings. Maintenance of exterior areas such as parking lots, grounds, or picnic areas is excluded from the Standard, with the exception of areas directly outside building entryways. This Standard does not cover residential buildings. 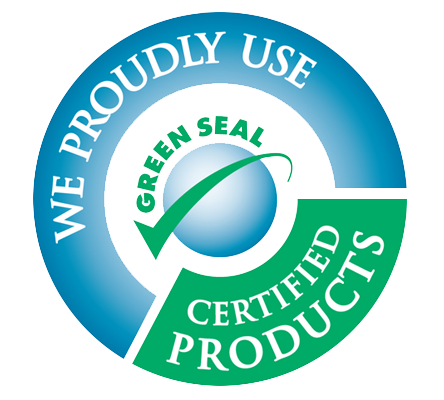 The intent of Green Seal’s environmental requirements is to reduce, to the extent technologically and economically feasible, the environmental impacts associated with the manufacture, use and disposal of products. Set on a category-by-category basis, Environmental Standards focus on significant opportunities to reduce a product’s environmental impact. Property/Facility Managers and Building Owners recognize that a property with excellent indoor environmental quality earns a huge marketing advantage. Using it to your advantage is just good business.